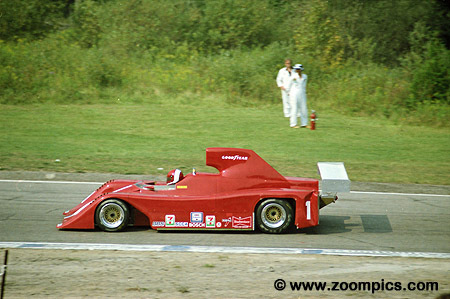 In 1982, Mosport hosted two rounds of the Can Am series. The first was on June 7th and the second on September 12th. The September event was the sixth of the nine races series. With only three events remaining – Caesar’s Palace, Riverside and Laguna Seca - the points chase was on between Al Unser Jr. and Al Holbert with Danny Sullivan as a long-shot. In the end, Unser and Holbert shared the same number of wins – four each – but Unser scored more points – 540 to Holbert’s 500. In the under two-liter class Bertil Roos won the title driving a Marguey CA82. He had three class wins and finished an incredible third overall at Road America. 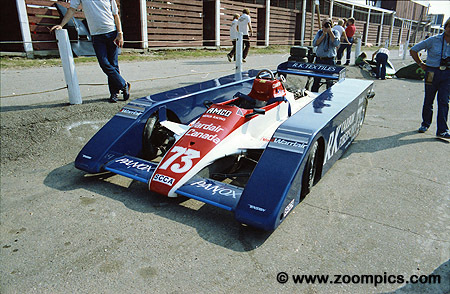 A 20-year-old Al Unser Jr. qualified on the pole at a 1:10.399 which was a new Can Am qualifying record at Mosport. At the start, he jumped into the lead driving a perfect 60-lap race. This was his third win of the season and gave him the points lead going into the final three races of the 1982 season. Moss corner midway through the race and Danny Sullivan in the No. 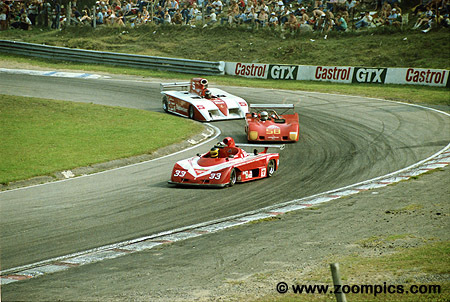 5 March 827 prepares to put a lap on No. 33 Osella PA9 of Jacques Villeneuve and Roman Pechmann in a Lola T-290. On Friday Al Holbert broke Teo Fabi’s qualifying record, however, he fell to second after Saturday’s session. Holbert ran second in the race until he spun on the ninth-lap. An attempt to catch Danny Sullivan in the final laps resulted in Holbert hitting the pit wall but he was able to continue and finish third. 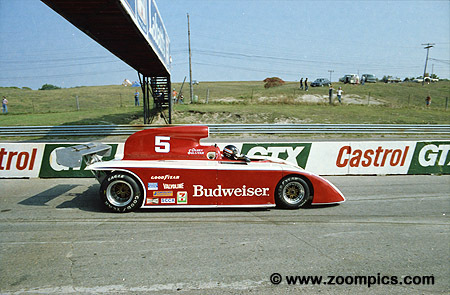 Entering the Canadian rounds Danny Sullivan had his Newman/Budweiser March 827 lightened by 150-pounds and the ground-effects reworked. He qualified third for the race and when Holbert spun he inherited second where he would remain until the conclusion of the event. 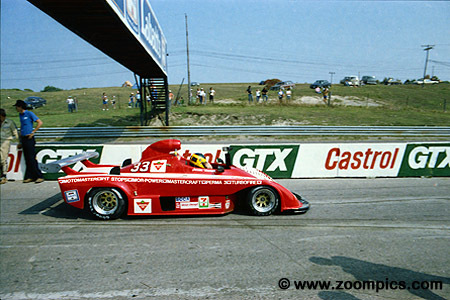 In 1982 Rex Ramsey, an experienced F5000 racer drove the ex-VDS Lola T-530. He finished seventh at Mosport's September event. He was ninth in the final standings with his best finish of the season a fourth at Road Atlanta. Finishing fifth was Jim Crawford in a converted Formula 1 car. 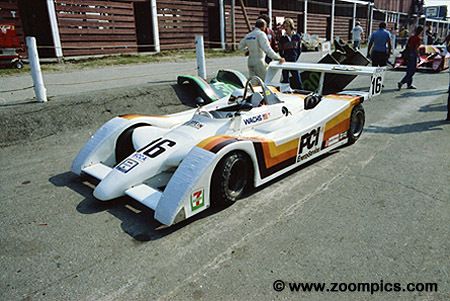 The car was based on a 1981 Ensign N180B and powered by a 3-liter Ford Cosworth DFV. 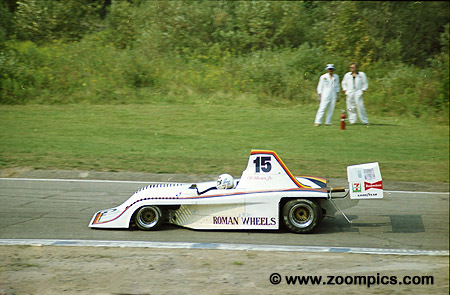 Crawford joined the series at the previous round in Trois Rivieres after capturing the 1982 British Formula 1 championship. 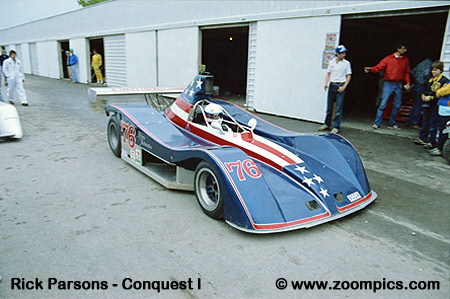 Ed Wachs drove the Ausca Ralt RT-2 to a win the under two-liter category and finish eighth overall. This was quite an accomplishment as he qualified fourteenth overall and started behind Bertil Roos, Jim Trueman and Jacques Villeneuve Sr.
Driving an Osella PA9 powered by a BMW engine was Jacques Villeneuve Sr. He finished third in the under two-liter class a lap behind Ed Wachs and Jim Trueman. 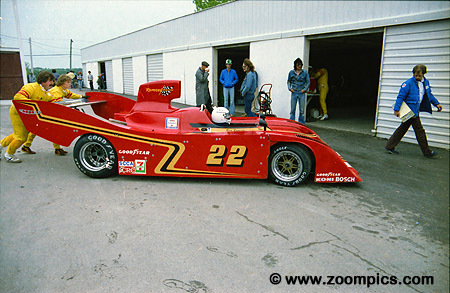 The Red Roof Inns sponsored March 822 was driven by Jim Trueman. 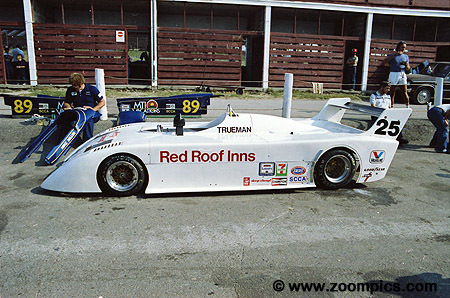 Trueman was the second quickest qualifier in the under two-liter class and he finished ninth overall and second to Ed Wachs in the smaller displacement category.